Wash and dice the snap beans and boil the beans for 4 – 5 minutes and set aside. 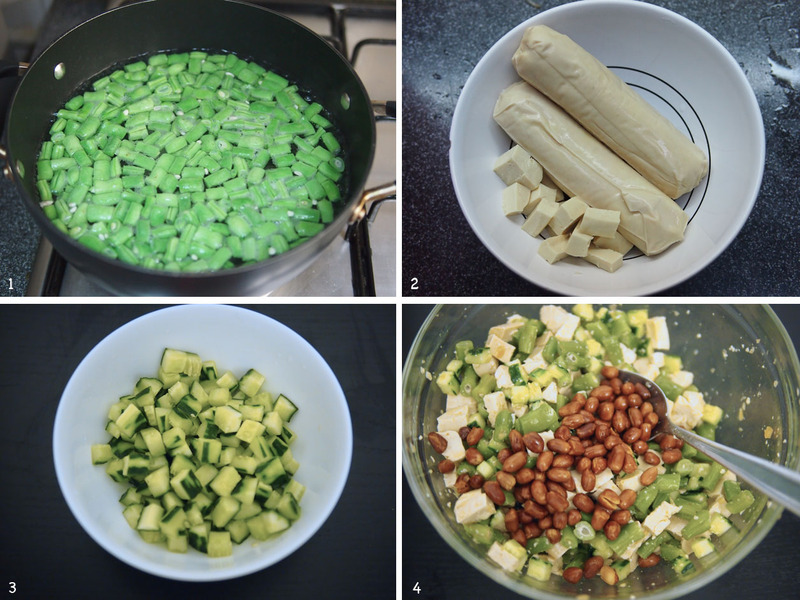 Dice the steamed bean curd rolls and boil it for 2 minutes and set aside. Dice the cucumber and set aside. Fried the peanuts in warm oil until it turns brown. Mix it with the snap beans, bean curd and cucumber. Add Salt and sesame oil to taste.